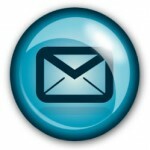 WebMail – Access new email* while on the road via any Internet browser. Log in with your full email address and password. * Please keep in mind that once your email is downloaded by your email program (Outlook, Outlook Express, etc. ), it may no longer be available via the WebMail interface. Your full email address is your username. Incoming server (POP3) port number 110. Outgoing server (SMTP) port number 587. SSL encrypted communication can OPTIONALLY be used for both incoming and outgoing connections. If you choose to do so, please change the POP3 port to 995. The SMTP port remains 587.